Summer seasonal position; wages vary DOE. Housing provided. Start, end dates and volume of work negotiated individually on Job Agreement. Johnstone Strait area on Vancouver Island in British Columbia. To serve as a sea kayak guide on both single and double sea touring kayaks in dynamic marine environment. Will guide multi-day trips up to six-day, and may be rotated onto any of the trips that ROW Sea Kayak Adventures (ROW SKA) runs for which they are qualified. All guides are members of a growing company and their primary responsibility is to deal with guests, co-workers and suppliers in a manner which sets the high water mark for hospitality, safety and excellence. Provide excellent risk management in remote settings. Professionally represent ROW SKA's and its Mission, Vision and Values at all times. Work cooperatively with all team members to implement all logistical aspects of a ROW SKA trip from pack-up to clean-up in a timely manner in order to provide guests with a safe, meaningful and memorable experience. Care for, respect, and maintain ROW SKA equipment, vehicles and facilities, including guide quarters, in a neat, properly functioning, organized and presentable manner. Set-up and pack-up camp facilities such as guest tents, tables, chairs and portable toilet (when applicable) on all multi-day trips. Prepare, artfully present and clean-up all meals and dishes according to ROW menu and recipes. Provide meaningful, researched and engaging interpretive presentations on natural and cultural history topics relevant to the trip’s location and our guests. Note: These are typically are 10 minute presentations on topics such as local geology, flora and fauna, First Nations, pioneers or environmental concerns. Lead guest activities such as hikes, storytelling, games or campfire music to enrich the guests' experience and engage them in friendly conversation throughout the trip. Complete and submit all trip-related paperwork, including incident reports, in a timely manner. Fully participate with a positive attitude in all job-related aspects during and related to a given trip, including attendance and participation in all guide meetings, debriefs, and other pre- and post-trip tasks. Help market other ROW trips by accurately answering guest questions and to generally direct them to other ROW experiences they might enjoy. Forward the names of hot prospects in a timely manner to the office for follow up. Respond to routine guest requests in a polite, helpful manner that makes them feel valued, respected, liked and cared for. Guide trips in a manner aimed to enrich the guests' experience and appreciation of the natural world, not merely entertain. Act as a good steward of the natural world, including following ROW's sustainability practices and Leave No Trace principles. Read and adhere to all policies and procedures outlined in the ROW guide manual. Over the course of the season, complete a minimum of 20 warehouse hours as needed or assigned, at least 15 of which are at the end of the season to qualify for End of Season Pay (ESP). Constantly look for ways to better serve the guest and ROW SKA and bring new ideas to management. Communicate appropriately with co-workers, owners, and managers and address conflict or other outstanding issues in a timely and professional manner. Performs other duties as assigned or identified. Current 36 hour or higher advanced first aid and CPR certifications (ay be completed after hiring). OEC, WAFA, WFR, WEMT, EMT, preferred. All guides must have ACSKG, SKGABC, CRCA, ACA, or BCU certification or equivalent. Physically fit, able to work long hours in the field and lift, carry heavy objects over awkward terrain, and repeatedly lift upwards of 70lbs. Academic or professional background or equivalent experience in natural science, northwest Canadian history, environmental education or conservation related field, preferred. Guides must complete all required training and be approved by trainer or Area Manager prior to commencement of paid guide work. Training includes attendance on the all-staff training trip in June. New guides will not be paid for training, but returning guides will qualify for end of season pay for attendance of the training trip (see pay scale). 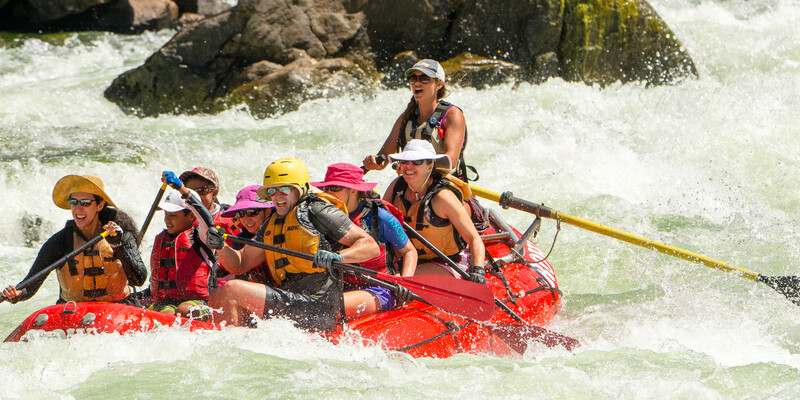 Guides without prior commercial experience or who otherwise require additional kayaking skills as identified by ROW management must successfully complete an approved training program prior to commencement of paid guide work. It is the employees responsibility to arrange transportation to and from this training. Guides are responsible for all training and licensing fees as outlined in the Job Agreement. Guides must provide their own appropriate footwear and clothing as well as personal kayaking gear including PFD, wetsuit, tow rope, water bottle(s), and flares. In addition, multi-day guides must provide a dry bag, sleeping bag, tent, and appropriate clothing for extended trips. Work Schedule: Guides are full time with a varying schedule, according to the dates on the Job Agreement. Guides may move between trips as bookings and qualifications dictate. Work schedules may be erratic and difficult to predict as they are based on bookings. Efforts will be made to give guides their requested workload. Special occasion days off and special needs must be negotiated prior to signing contract in order to be guaranteed. Guides may be asked to work more if needed. Vacations are discouraged in July and August. Guides are evaluated on their thoroughness in performing duties, attitude, punctuality, dependability, ability to operate as a team player, initiative, mature judgment, relationships with co-workers, management and guests, flexibility and willingness to learn. Reporting Relationship: Guides report to their team leader and their Area Manager. In their absence, guides report to the Director of Operations or President. Compensation: Guides are paid based on ROW SKA's payscale. Pay level varies based on years of experience and qualifications. Certain skills (like a WFR certification) qualify for extra pay. Housing or camping is provided at all outposts along with cooking, bath and lounge facilities. Food is provided on all trips, reduced cost trips for friends and family, and pro deals.